The only type of transport able to go door to door by its own means. It is a fickle transport able to transport any kind of product and despite not being the fastest; flexibility in terms of schedules, facilities for loading and unloading makes it a very suitable way for urgent transport between middle range distances. 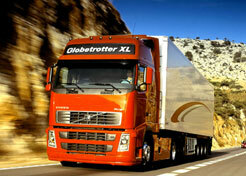 GTFco customers can book full trucks for land transport or groupages. GTFco offers the possibility to make land transport between customer choices of origin to point of destination, as well as using it as an additional service to a main one which can be sea or air transport. GTFco focuses mainly on destination from South European to East European countries, as well as Italy and Portugal.